For our next City Stroll event we have chosen to explore Kalorama—one of the most historic, storied and beautiful neighborhoods of DC. City Stroll is our periodic event series, where we pick different neighborhoods of our city, for our weekend exploration with regard to history and art, while also combining our passion for food and drinks by uncovering great small restaurants, cafes or pubs along the way. 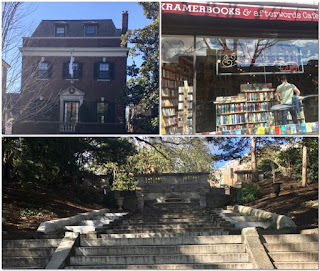 Named in Greek 'beautiful view', the Kalorama neighborhood sits on a high spot between Massachusetts and Connecticut Avenues with close proximity to Rock Creek Park. 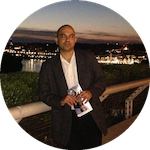 It is also desirable for being walk-able to Adams Morgan and Dupont Circle—the latter we will also pay respects to with gallery visits, finally ending at an iconic bookstore there. Kalorama remained rural until the late 19th Century; still today it so leafy and quiet it feels much farther from the city than the few minutes’ walk it really is! Home to 28 embassies, notable residents in politics, commerce, technology, journalism and the arts-it is also home to some of the finest examples of period architecture in the country. We will stop to admire embassies, museums, homes, bridges and even steps built in the following styles: Federal Revival, Spanish Colonial, Georgian Revival, Classical Revival, Romanesque Revival and Traditional. And don’t be surprised to hear the phrases "the first" and "the oldest" along the way, for the neighborhood is just that dense in historical gems ! Bring water, sunscreen, your cameras and good walking shoes. The tour will be led by our member Jeannie whose connection to the neighborhood began in the 1970s. 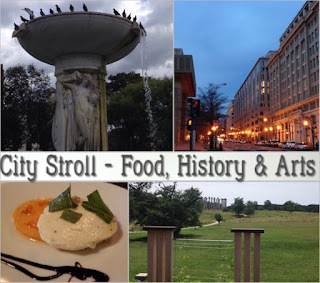 Description: Our City Stroll event exploring the history, architecture and small restaurants in the Kalorama neighborhood of DC.